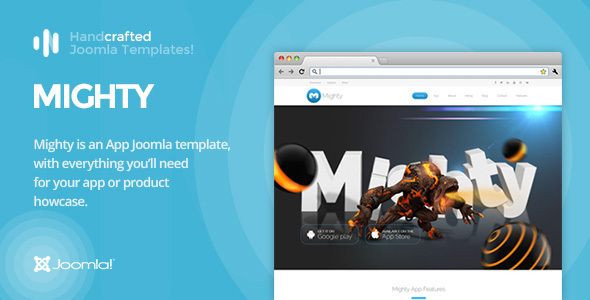 Mighty is an App & Product Showcase Joomla template and with its clean design and features can be used for any corporate website. The template is based on the Gantry 5 framework and comes with awesome particles and atoms. Mighty's quickstart package offers full set of inner pages that you will need to build an App site. Mighty, of course, comes with the UIkit framework integrated. The only 3rd party extension used is Revolution Slider.